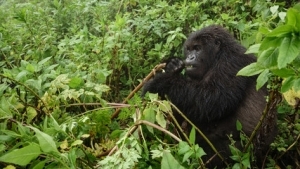 The 10 Days Rwanda Gorilla trek & Wildlife Safari is a full safari package that provides you that long a waited opportunity to trek the world’s most endangered species of mountain gorilla. The 10 Days Rwanda Gorilla trek & Wildlife Safari will enable you to experience the different cultural activities and most outstanding national parks in Rwanda. The highly rewarding safari package will take you through Akagera National Park-home of unique wildlife species such as Impala, Topi, eland species, oribi, Masai giraffe, bushbuck, Defassa waterbuck, reedbuck, sable, antelope, Burchall’s zebra, hippos and the crocodiles. Nyungwe forest national park dubbed the primate capital of the Rwanda with largest counts of habituated chimpanzees, Lake Kivu the home of adventure in Rwanda, Volcanoes National Park-natural home of the world’s critically endangered mountain gorillas. The 10 Days Safari will combine Rwanda’s most marvelous tourist activities with ultimate cultural experiences and taste of world class services from some of the best lodges/hotels in Rwanda- the land of thousand hills. Day 2 of the 10 Days Rwanda Gorilla trek & Wildlife Safari: Transfer to Akagera National Park & do boat cruise, Behind the Scenes experience. Day 3 of the 10 Days Rwanda Gorilla trek & Wildlife Safari: Do early morning game drive & transfer to Butare. Day 5 of the 10 Days Rwanda Gorilla trek & Wildlife Safari: Do an Early morning Chimpanzee trekking & Afternoon Canopy Walk. Day 6 of the 10 Days Rwanda Gorilla trek & Wildlife Safari: Transfer to Gisenyi-Lake Kivu. 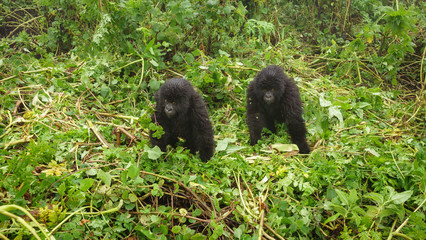 Day 9 of the 10 Days Rwanda Gorilla trek & Wildlife Safari: Do Gorilla Trekking & Musanze Cave tour. 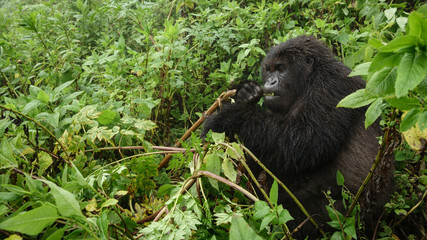 Day 10 of the 10 Days Rwanda Gorilla trek Wildlife Safari: Trek to Dian Fossey Tomb & Transfer to Kigali City. Immediately you land at Kanombe international airport in Kigali, you will be met by our professional driver guide who will warmly welcome you and then transfer you to your pre-booked Kigali hotel for Cup of coffee and refreshment. 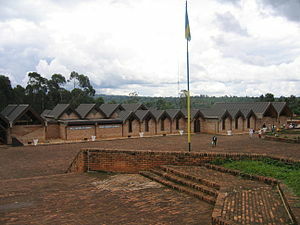 Thereafter, embark on city tour .The city tour will take you through Gisozi genocide memorial center where you will have time to listen to the comprehensive history of Rwanda during the 1994 genocide and the events of the massacres, including personal accounts. You will view the Photographs, video clips, and artifacts of the genocide. Right after visiting Gisozi genocide memorial, you will advance to tour other interesting places like Nyamata church, Presidential Palace, explore the Natural History Museum also known as ‘Kandt house’ a first modern house built in Kigali since its existence as a capital city. You may visit art and craft centers like Caplaki, Inganzo gallery where you will spend time learning how to sew peace baskets and make Imigongo that Rwandans use for home decoration, visit local Markets Like Cyimironko Local Market, Kicukiro Local Market. In the evening, you will join the Susa Tours cultural troup for cultural entertainment. Here you will experience contemporary music, African, Rwandan food and drinks. Afterwards retire back to the lodge for dinner and overnight stay. Right after taking an early morning breakfast, the driver guide will pick up from your Kigali hotel/lodge and embark on transfer drive of 130kms about 2-3hours drive from Kigali to Akagera Nation Park. The drive to the eastern part of Rwanda is very pleasing as it will take you through picturesque landscape of Rwanda. Upon your arrival at the park, you will be advance with the drive to your lodge to check-in, have lunch & relaxation. After lunch, embark on an afternoon boat trip along the waters of Lake Ihema-Rwanda’s second largest fresh water body. The boat trip will give you an opportunity to get close to the various water birds species including African fish eagles, open-billed stork marabou stork, cormorants, crowned cranes, egrets and herons among others. The boat trip will also reward you with the views and sights of the unique wild game like Hippos, Nile Crocodiles, elephants, Buffaloes when they are drinking on the shores of lake. After the boat trip, you will retire back to the park head Quarters for Behind the Scenes experience. Here you will get more insights into Akagera, including conservation developments within the park; you will meet some of the important individuals integral to the management of the park. Retreat back to your lodge for dinner and overnight after the activity. 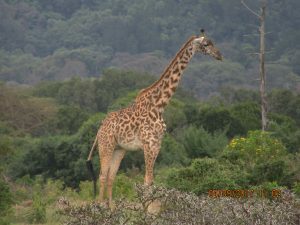 Accommodation: Akagera game Lodge (Luxury), Ruzizi Tented Lodge (Mid-Range), Shakani Campsite (Budget). Following a cup of coffee, embark on an early morning game drive along a well-designed network of tracks in Kagera national park. 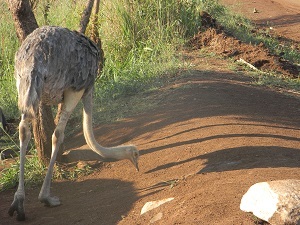 The game drive will provide you possibilities of meeting early morning wildlife risers when they are embarking on their daily activities of searching for food among others. You may also confront the nocturnal wildlife species when they are coming back to their hiding grounds. The range of wildlife that you stand pretty chance to watch include elephants, buffalo, zebra, bush baby, hippos, crocodiles among other mammal species. On rare occasions, you can see species such as leopard, lion and black rhino. 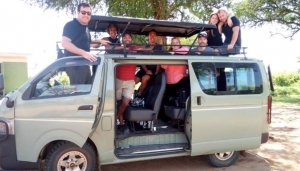 As one of the most scenic savanna parks in East Africa, the game drive in Akagera will provide you pretty opportunity to see gentle hills blending in beautifully lowland swamps and water bodies. 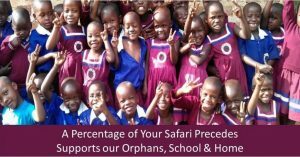 After enjoying the highly interesting game drive, you will return to the lodge for relaxation, lunch and thereafter embark on transfer to Butare town. On arrival to Butare, you will drive to your lodge for dinner and overnight. Accommodations: Mator Boni Consilii (Luxury/Upmarket), Hotel Ibis (Mid-Range/Standard) Guest House Centre Diaconal (Budget/Standard). After taking breakfast, set off to explore Butare city in the Southern Province of Rwanda. You will visit unexplored places like the National Museum of Rwanda- which shows cultural history of the Rwanda and the region. From the Museum you will head to the National University of Rwanda (NUR).After exploring the city, you retire back to your lodge for lunch, relaxation as you wait for transfer to Nyungwe. After lunch, turn to transfer drive from Butare to Nyungwe national park a drive distance of 155kms about 3-4 hours’ drive without enroute stopovers. The drive to Nyungwe will take you through picturesque landscape dotted with local settings and local populations. On arrival to the park, you will drive to your pre- booked lodge for dinner and overnight stay. Accommodations: Mator Boni Consilii (Luxury/Upmarket), Hotel Ibis (Mid-Range/Standard) Guest House Centre Diaconal (Budget). 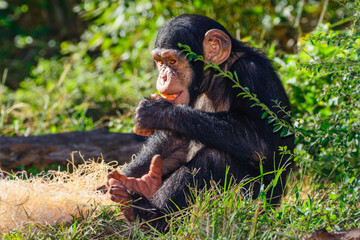 After your early morning breakfast, you will drive to the park headquarters for an early morning briefing about the rules to follow when trekking the chimps. 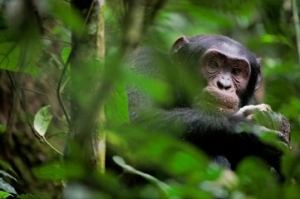 After briefing, you will be led by the ranger guide through the beautiful forest trail to trek the fascinating chimpanzee creatures. Along the trails you will enjoy the nice melodies of different bird species housed in the forest and you will also have chance to enjoy the views of other primates like grey-cheeked mangabey, monkeys. The activity takes between 2-6 hours but experienced guides will also make sure that they take you where you will have to see the primates as fast as possible. Face to face encounter with the chimpanzees is very amazing because you will observe them play, feed and rest. After this worthwhile experience, you will head back to the lodge for lunch and later explore canopy walk to see the beautiful twin lakes as well as various bird species. Depart Nyungwe Forest Park to Gisenyi in Lake Kivu after your early morning breakfast. The overland journey of 189 kms will offer you a breathtaking view of the “million” hills that decorate Rwanda. On arrival to Gisenyi town, you will drive direct to your pre-booked lodge within Lake Kivu for lunch, relaxation. After lunch, embark on an afternoon boat ride around the Virgin Islands like the Napoleon’s Hat Island. After enjoying the adventurous boat ride on the waters of Lake Kivu, retire back to the lodge for dinner and overnight. After an early morning breakfast, embark on boat cruise to explore the Virgin Islands like the Napoleon’s Hat Island. While at Hat Island, you may ascend to the peak of the hat to view thousands of Angola bats in the blue skies. You can also enjoy swimming in the, Crocodile free, bilharzia free water of Lake Kivu and after exploring the adventurous activities retire back to the lodge for lunch and relaxation. Right after taking your breakfast, turn on your transfer drive from Lake Kivu to Volcanoes national park. The drive distance of 62 kilometers about 1and half hours’ drive will lead you to natural home of Mountain gorillas in Volcanoes national Park. On arrival to the park, you will drive to your lodge to relax and have lunch. After lunch, you will embark on an evening cultural encounter with the local communities around volcanoes national park. The cultural encounter will give you a rare opportunity to interact with the local people in their natural environment, with a taste of their unique culture and traditions. On arrival to the village, you will be genuinely welcomed by the community as special Visitors. After cultural refreshment, entrainment, you will retire back to your lodge for dinner and overnight. On this long awaited day, you will start it by taking hearty breakfast and then transfer to the park head quarter for an early morning briefing regarding gorilla trekking etiquettes in Volcanoes Park. While at the park headquarters, you will meet other trekkers and be divided in groups of eight individuals who are allowed to trek one habituated mountain gorilla group. After briefing, you will be led by ranger guide to hike through the verdant jungle searching for mountain gorillas. The activity which will take 2-8 hours needs someone to be physical fit since it involves hiking the hills and slopping the Valleys. Gorilla trekking process is tedious but impressive when you finally set your small eyes direct to bit big round eyes of the mountain gorillas. When you eventually meet the gorillas, you will be allowed one hour with them, seeing them feed, play and look for their young ones. While staying with the gorillas, you will be required to maintain a distance of 7 meters away, also turn off the flash of your camera as you take pictures. Right after one hour, you will retire back to the starting point and transfer to your lodge for late lunch and relaxation. After lunch, embark on Musanze Cave tour through the tourist walkways, trails and stairs that take you to the dark interior of the caves that illustrates a picture of a house with several rooms and corridors. The tour will offer you an in-depth understanding of the geological, geographical as well as historical development of the globe. After exploring the cave, retreat back to the lodge for dinner and overnight. Day 10 of the 10 Days Rwanda Gorilla trek & Wildlife Safari: Trek to Dian Fossey Tomb and Transfer to Kigali City. After an early morning breakfast, embark on trek to Dian Fossey Tomb. The trek will offer you golden opportunity to visit the Dian Fossey Tomb and visit the house where this prominent American researcher was killed from and also listen to the experienced guide explain to you the history of the fallen conservationist. After exploring Karisoke Research Centre, you will embark on transfer drive to Kigali. 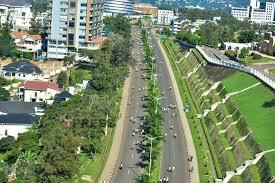 On arrival to the city, the driver guide will take you to any Kigali hotel for lunch. Thereafter, the driver guide will drive you to Kanombe Airport for your scheduled flight back home.